In his book, The Judgment of Paris–which I have referred to on more than one occasion on this blog–Ross King explores how one of the world’s formost painters could become nearly anonymous nearly 100 years after his death. Jean-Louis Ernest Meissonier (French, 1815-1891). The Siege of Paris (1876) Oil on canvas. Private collection. 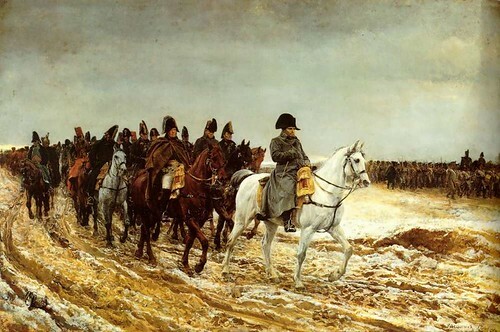 Jean-Louis Ernest Meissonier was the highest paid painter of his day. His paintings, which often took years to paint, were unveiled to huge crowds and discussed in international newspapers. The list of people buying his painting reads like a who’s who of late-nineteenth-century, European money and power. Jean-Louis Ernest Meissonier (French, 1815-1891). 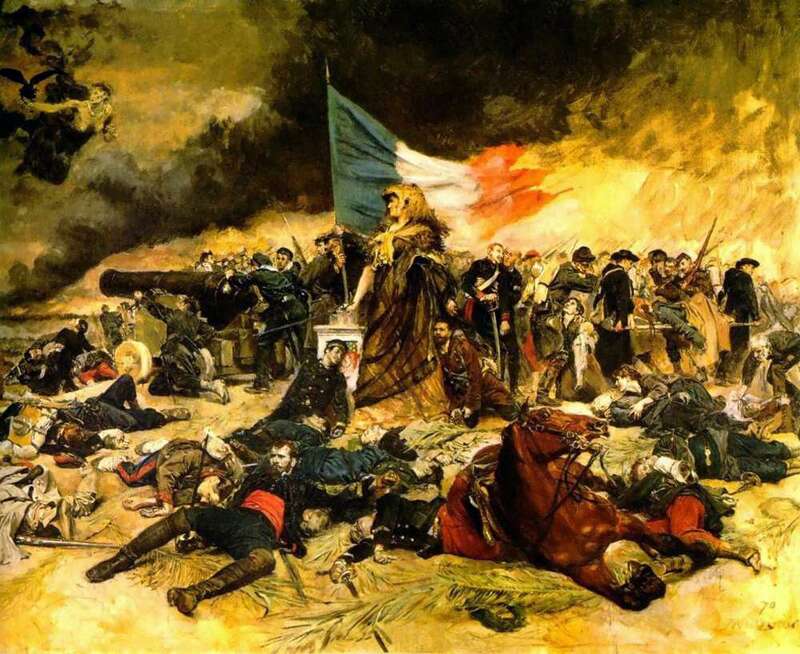 The French Campaign (1861) Oil on canvas. Musée d’Orsay, Paris. Thank you so much for posting this. I had not seen his self-portrait before. Meissonier has a large, historical painting at the Met which always holds my attention; it is an art lesson within itself. 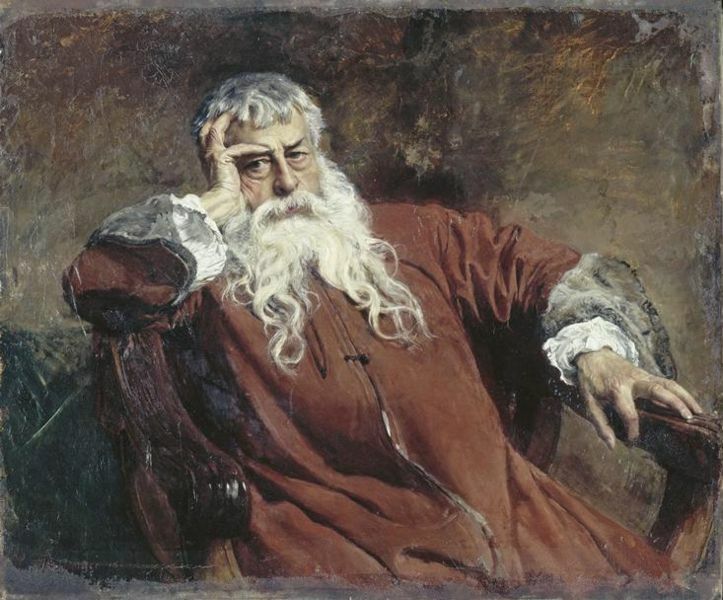 We can hope condescension towards such artists as Bouguereau and Meissonier will soon go as far out of style as the artists themselves have been these long years. However, I would hate to see academic painting get its due on the basis of the painters’ skill alone — that too would be a form of condescension. I am interested to hear exactly why — other than technique — the people who cherish academic painters feel attracted to them. Dali, perhaps speaking truthfully, once said his favorite painter was Meissonier. As for Delacroix, he had catholic tastes. He told Victor Hugo that, had he made as much of his painting as of his poetry, he would have been the visual artist to dominate the 19th century. You almost can’t get as far apart as VH and Meissonier. I was hoping that maybe someone on this site could help my father and I with the history and worth of this artwork and of the artist. I have been looking for this partiqular painting by Jean Louis Ernest Meissonier entitles La rixe or the brawl I cannot find it anywhere. It depicts a fight in a tavern. Do you know in which museum this painting is located? Jean Louis Meissonier,Salvador Dali and Gabriel Tomsick are the greatest painters of all time. I have La Rixe from my step father’s family’s home. The back has written “…which is now at Osborn House” this was glued to the back on an old piece of paper.